I hadn’t realized how far this mall had fallen since my high school days when I would go to Crestwood just about every weekend. I was alerted to its decline from Dead Malls, and decided last winter to go over and check it out. After having heard about photographers getting arrested at St. Louis Centre, I decided I would need to take my pictures surreptitiously. Perhaps I was being paranoid, but it’s better than being chased by mall security, or Leprechauns as we called them back in the day. The problem with Crestwood is its asinine, snake-like floor plan spread along one level. 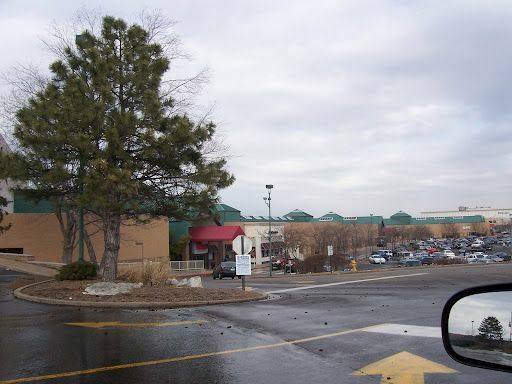 Furthermore, the mall is a strange pastiche of very old, crumby buildings from the 1950’s combined with a shoddy early 1980’s renovation that did nothing to cure the mall of its awkward design. 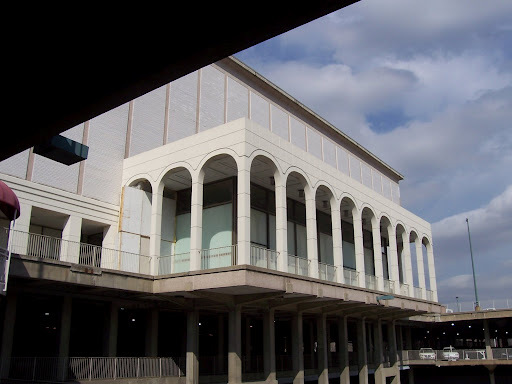 The mall is now substantially empty, with many of its storefronts sitting morosely abandoned with Westfield’s shameless attempt to hide their vacancy. Heavy vacancy has a way of snow-balling–once people start to perceive that a mall is in trouble, it has a funny way of coming true. 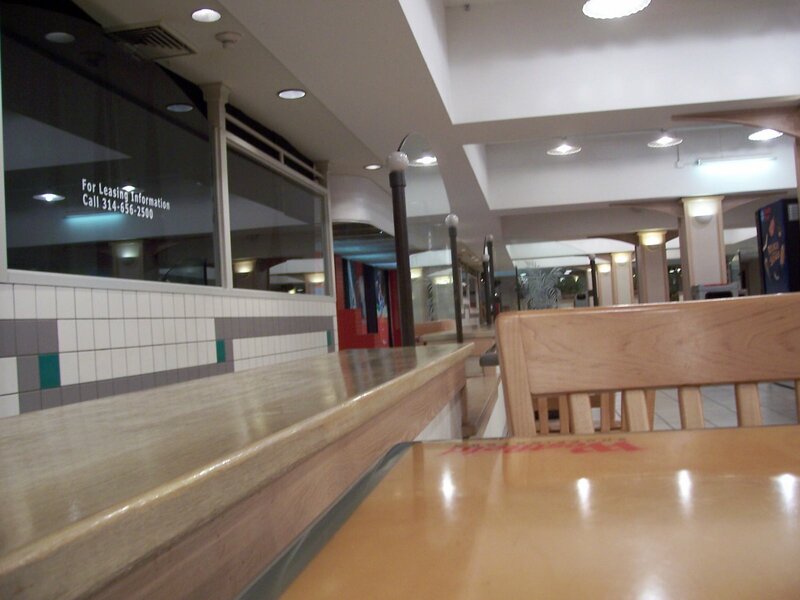 Likewise, the food court could best be described as a hell hole ever since its inception. The stench of grease down there ever since I was young still sticks with me. Every so many years, they would redecorate it in some absurd new motif, and one that sticks out to me the most due to its tackiness was when the food court was dressed up like a circus tent. As can be seen, the food court is essentially empty, but considering how undesirable a place it had always been, it’s not really surprising. 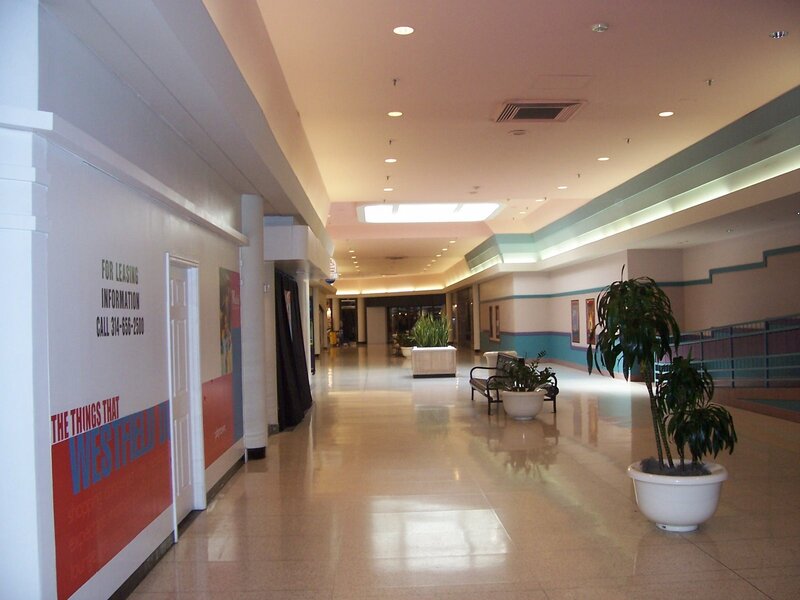 The corridor leading to the second movie theater, obviously a poorly planned afterthought added to the existing mall, has essentially 0% occupancy in the stores leading to what is presumably the last major draw for visitors in the evening. Perhaps the coup-de-grace is the announced closing of the Dillard’s, which anchors the more architecturally interesting end of the mall. 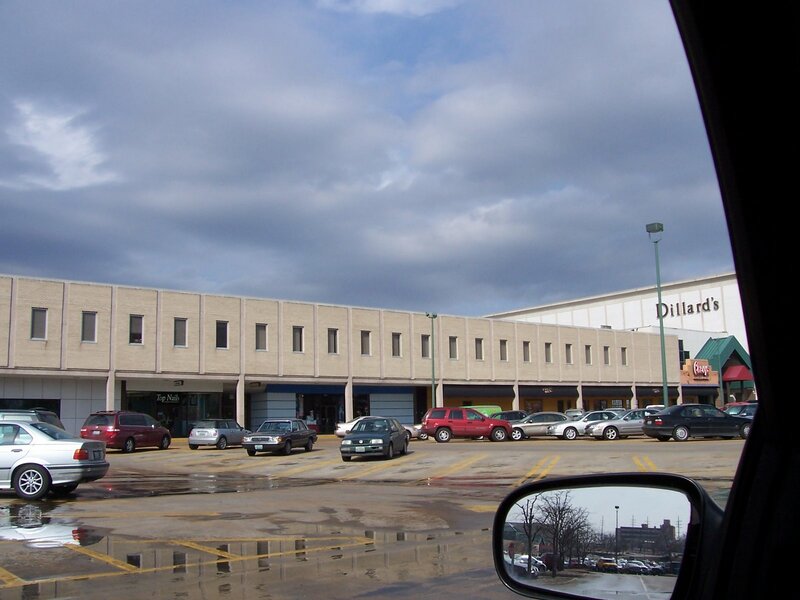 The massive brick walls and modernist arches of Dillard’s actually always impressed me, and now it’s going to be sitting empty in the not too distant future. Someone stick a fork in Crestwood, it’s history.